Visual Studio Code>Themes>VWC_ColorsNew to Visual Studio Code? Get it now. 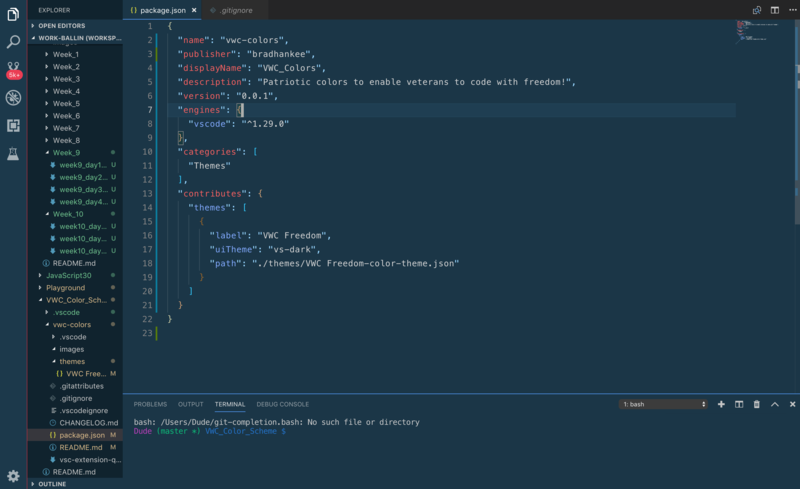 Patriotic colors to enable veterans to code with freedom! Please use if you are feeling patriotic and need some more FREEDOM in your life and code!